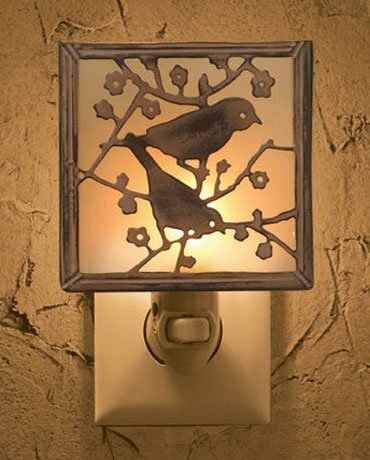 If you are looking to light up a dark hallway or bathroom at night, then you can use a night light. But if you want one with a bit of personality, then you should consider a night light photo frame. These are really cool. You basically fit in a favourite picture, in the frame and by day this looks like a nice framed picture, and then by night it lights up with a soft glow to lead the way down that dark hallway or head into that bathroom and make you smile at the same time. It softly illuminates your picture, and looks a bit like a TV screen when used at night. It is not glaring and it is bound to make you smile and gives off just the right amount of soft light to see where you are going. These are a great gift idea for relatives or friends, and you could put in your own picture to add to the fun. These lights have had a huge come back since the days of the old single bulb units that you plugged in. They tended to be a bit bright and got quite hot, so now with the latest technologies in lighting, those big cumbersome lights are now gone, and now they can be replaced with everything from a simple light to pieces of art that light up, and now a photo frame. They can be plugged into the electrical outlet, and left there by day as well, as they are good looking. These are a great way to cover up those electrical outlets and also to add some soft mood lighting in bathrooms and hallways for when you have guests over, or have a part y. You can also get battery operated ones that work well in kids rooms that can turn the ceiling into a starry night, or places without electrical outlets. There is a lot of choice now in this market and they use very little energy and are safe. But these photo frames are really cool and are more personable. If you get up in the night or go to bed late, you don’t have to be turning on the big main lights, and you can navigate through your halls or bathroom or even kitchen and see this beacon with your favorite pictures of your loved ones in the frame lit up to help you see the way. If you often have guests over, then using one of these photo frames in the hallway and the bathroom are a great place to start so that they can navigate around objects or furniture without waking the entire household, plus you know it will make them smile when they see the picture. You can get these at many lighting stores and department stores, but you can also get them online at sites such as Amazon. They usually come in sets of two, and use a 7Watt bulb to create that soft warm glow at night. Plus they light up that picture just right. If you are looking for a gift idea for the holidays, this would work well for anyone on your list. this style is also very nice looking especially at night.